"All that we have done is for your honor. And if we have not done our task properly, we beg your forgiveness." 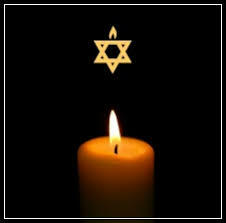 Chevra Kadisha (“Sacred Society”) is the traditional organization in a Jewish community that supports and assists families at the end of life and after, providing a continuum of care to the dying and those in mourning. The Maui Chevra Kadisha is made up of trained volunteers to provide K'vod v'Nichum (honor and comfort) including support for preparation of affairs, Shmira (watching over the deceased), Tahara (ritual purification), and Levaya (accompanying to the grave). The Jewish Congregation of Maui owns and maintains the Jewish cemetery on Maui. If you have any questions about Jewish end-of-life practices or if we may assist and support you and your family, please contact the Maui Chevra Kadisha through the JCM office at 808-874-5397. To learn how to create an Ethical Will, click here. with permission from Rabbi Richard F. Address www.jewishsacredaging.com. If you are interested in serving in the Maui Chevra Kadisha, contact us or sign up here.